A decision to buy a property for own-stay or investment purpose is getting more complex especially with a lot of choices in the market nowadays. Unlike the heyday that filled with strong property investment sentiment and risk taking behavior, the new township offering is facing a bumpy road in the current phase of property cycle. It is primarily caused by a weaker sentiment and conservative approach adopted by buyers and the new township is one of the most affected segments. With just masterplan and artist impression, the township is not in a stage to prove and reflect its value. Without a holistic view and sufficient statistics or information, buyers may easily or tend to conclude the property in new township either too risky or over-valued since there is no actual realization on buildings, amenities, ambience, and environment to justify the additional premium or emotional attachment to the new township. 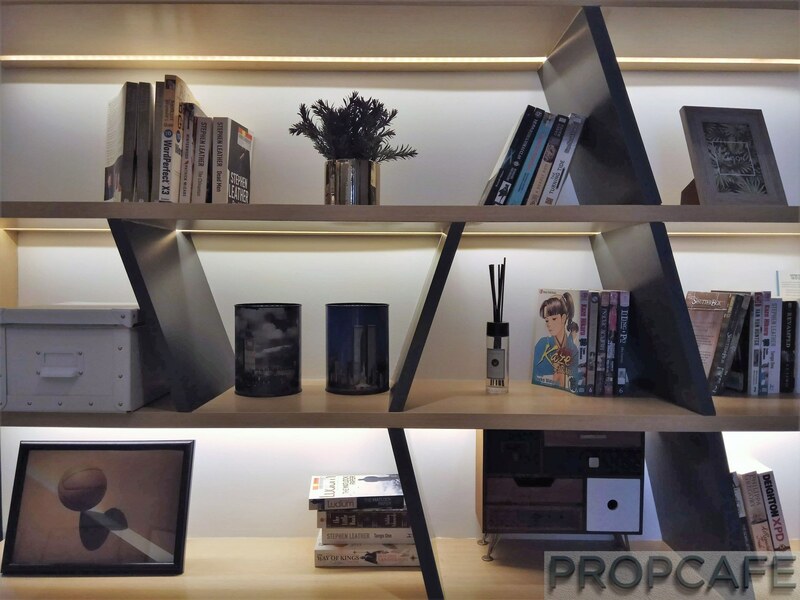 PROPCAFE™ came across many new townships and revisited Kota Kemuning recently. Interestingly, the south of Kota Kemuning is now having a brand new township, expanded from the existing Kota Kemuning. 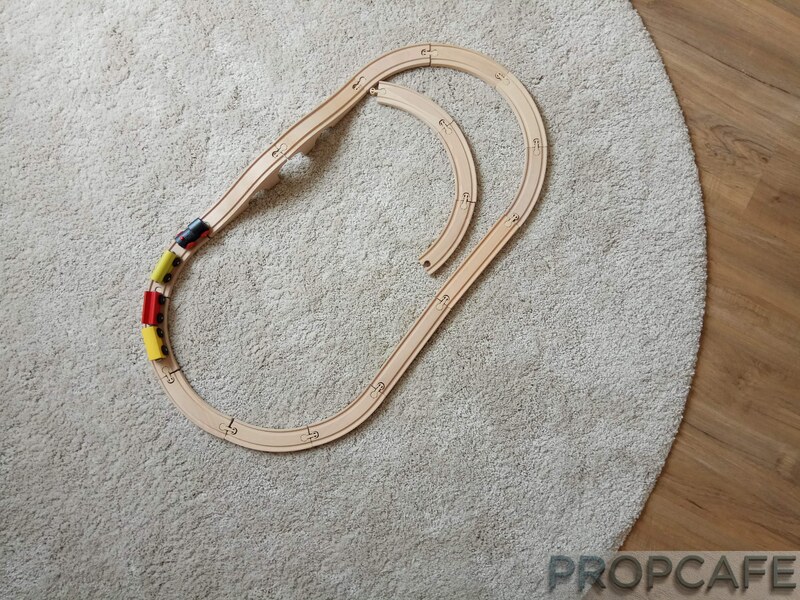 From what we have gathered from the trip, there are number of key considerations that PROPCAFE™ would like to share here when come to spotting the traits of a good potential new township. This normally applies to an old and matured township which was long established with a majority of middle and middle-upper income group who are relatively wealthier. In such community, in many cases, any new development within the township would be easily sold off due to the scarcity of the lands. When there is no longer enough lands to make a big scale development, developers would then start to extend the boundary of matured township. There are many similar success stories we can make reference here, for example Glenmarie (Subang), Desa Parkcity (Kepong), Bandar Botanic/ Setia Alam (Klang), Kota Damansara (Tropicana), and etc. With a stronger financial strength, this group of residents has choices and more tendency to upgrade their home based on their different requirements, for example security, expanded family, lifestyle, and key amenities. At the same time, they do not want to be too far away from their familiar and comfortable neighborhoods. Therefore, compares to standalone new township, the new “updated” township that expanded from an old township always has a better chance to get instant “migrants”. This helps the new township easier to survive and prosper. However, please make sure the “GOLD” is there, not just OLD! There are many old townships in Klang Valley do not come with “GOLD”, unfortunately. A new township must offers the “missing piece” in an old and matured town by bringing in new excitement and lifestyle elements that can act as a catalyst to justify the premium and push the property price to next level in the vicinity. The new elements will help to lure the younger generation continues to stay near or with their parents. In this aspect, the criteria to buy home nowadays no longer restricted to just a good and familiar location but it is crucial to meet the increasing expectation on lifestyle preference from home buyers. They are looking beyond just a home itself and demanding the conveniences in the community that match their additional lifestyle and entertainment needs, together with their improved financial strength. To just continue building nicer homes in an old township will not be ideal anymore. One can see most of the new successful townships are all attached with specific theme and unique living environment to differentiate the pricing to lure the new “migrants”. Building a new township is not for all developers. There are only handful of developers can make it happen as new township requires different capabilities to support the heavy costs on new infrastructure, create new township awareness, gain trust from the buyers, and most importantly the ability to consistently execute the masterplan. In many circumstances, the ineffective and financially weak developers will end up in the situation of stop and re-start mood in executing the masterplan. Oppositely, a reliable town maker will continuously build each component from its well-designed masterplan over years and injects more elements in different phases to the community. Although developer track record and financial strength are important, the uniqueness of masterplan and concept are equally crucial to differentiate the winner and loser in the current competitive environment. 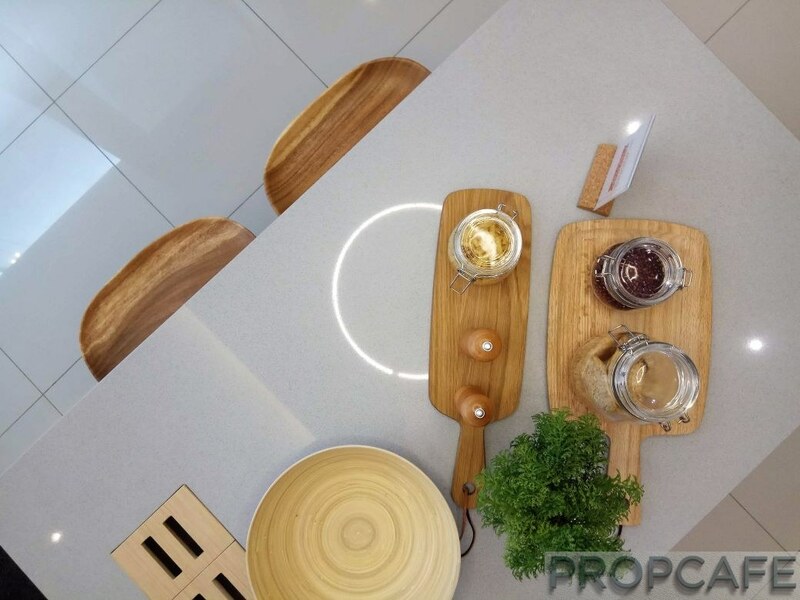 PROPCAFE™ sees the “Alliance” as a very vital factor for the success of a new township, whether it is officially collaborated or co-incidentally co-develop the new township. A single developer, no matter how big they are, have limited resources. With more established developers join the fray in a close vicinity or within the same township, the faster the township can be “realized” and delivered. The competition will surely bring more values to the buyers and residents in the new township, thanks to the developers’ urgency to grab the market shares by continuously enhance its product proposition to match the needs of residents. Any big township requires a good mix of resident profile to generate the demand for different types of properties. Unless it is a relatively smaller township, it won’t survive if developers are just keep “pumping” in similar property types and price range. A vibrant township needs human traffic from all walk of life and by offering different ranges of property would attract a balanced mix of resident profile and by nature will create various types of economy activities to make the township more sustainable. This is the hardest part for all township developers. It always take times to deliver necessary amenities especially in those standalone new townships. The speed of delivering the amenities will directly affect the occupancy rate in a new township. Some say, build residential and commercial properties, then amenities will come naturally. In the other hand, some argue that amenities must come first so that more residents will move in. Both are not wrong. However, it would be in a best scenario to have a new township that comes with good amenities from its “neighbour” township(s) within short distance, while waiting for its own new amenities to come! Lastly, a township without a good connectivity to major federal roads or highways will not prosper, no matter how great is the masterplan. To put in an analogy, the accessibility or linkage to major highways is just like the support of the spine in a human body. All residents’ daily routine and economy activities are relying on it. So, any township without a good connectivity will be “paralysed” in no time. The name of twentyfive.7 is interestingly link up with the phrase of 24/7 (24 hours and 7 days). To simplify it, twentyfive.7 – 24/7 = Extra Hour. twentyfive.7 will complete your living with extra time to spare in this placemaking and fostering community. 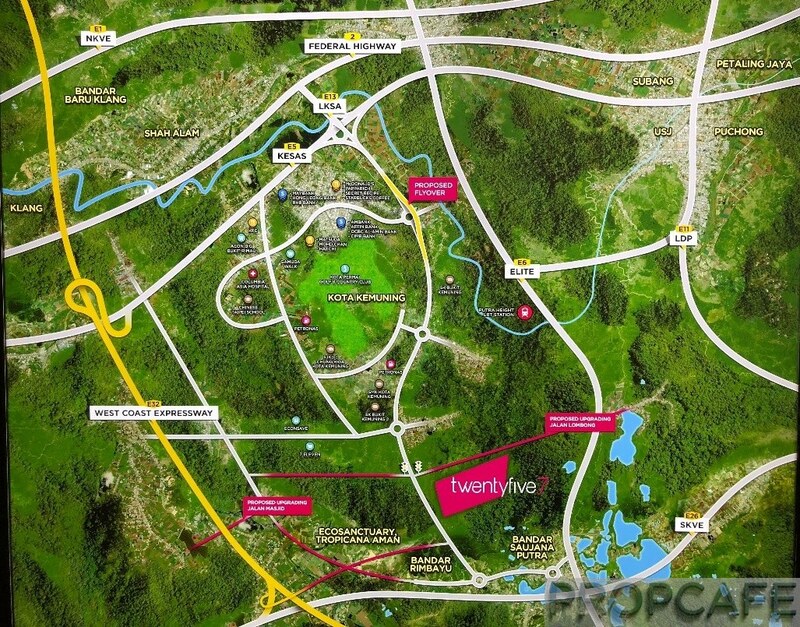 twentyfive.7 is a 257 acres development at the southern part of matured Kota Kemuning. Ironically, Hicom-Gamuda started the Kota Kemuning township in 1995 which strategically sandwiched between Klang and Subang Jaya/Puchong. 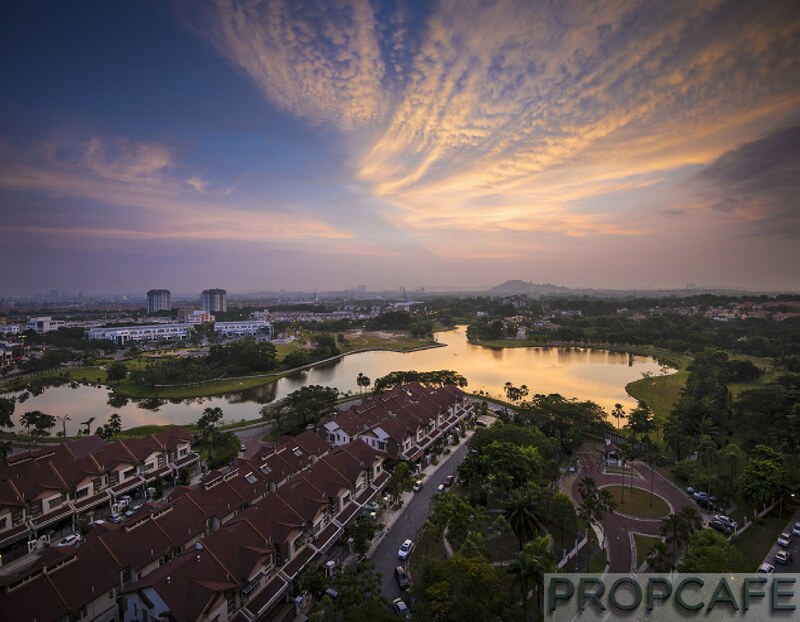 With its tagline of “The Epitome of Klang Valley’s Finest”, this 1854-acres township was successfully grown and transformed to be one of the highly sought addresses over last two decades and now with approximately 32,000 population. The allocation of 40% green area within the township has benefited the residents greatly with ample outdoor space and serenity. 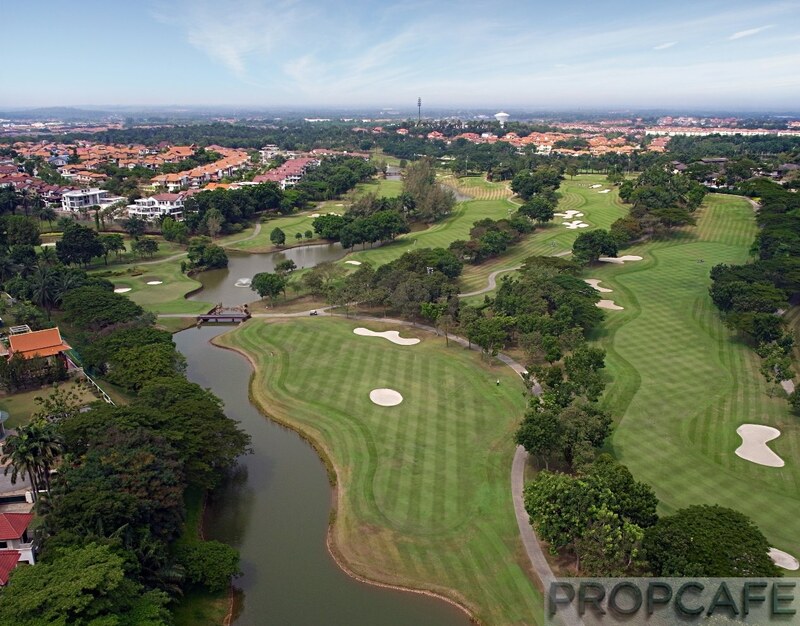 It includes two golf courses (Kota Permai Golf and Country Club and Bukit Kemuning Country Club), one equestrian club (Vista Shah Alam Equestrian and Endurance), and a Central Park consists of a 22-acre lake, 25-acre park and a 1.5km jogging track. Based on the statistics from agencies, many Kota Kemuning residents were previous resided in Subang and Shah Alam which comprise of 57% of Chinese, 25% of Malay and 9% of Indian. All types of residential property are available in Kota Kemuning, from apartments & condominium, link houses, semi-detached, clustered bungalows to large detached house. 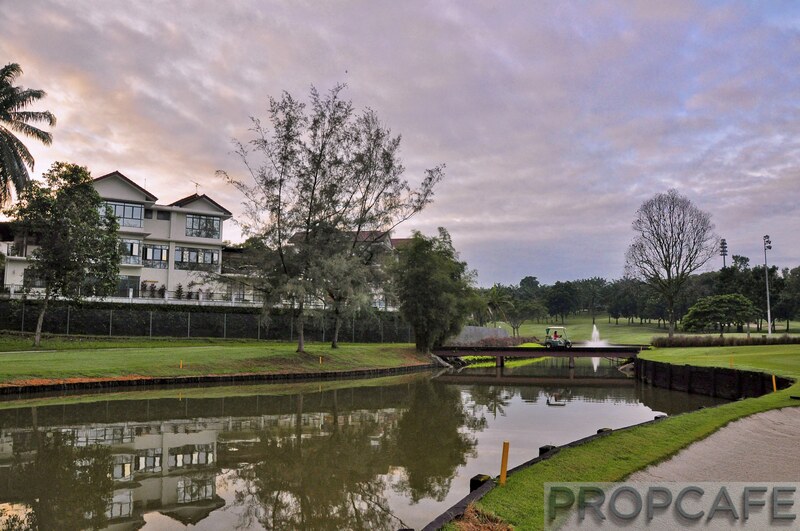 A quick search in property portal can see the bungalow is asking as high as RM3 to RM6 million. Attributed to the previous property booming cycle, the prices in this area have increased multiple folds from its initial values over last 10 years. With a financially strong demographic, this matured township certainly comes with a lot of “reserve” i.e. “Old Money” or “Gold”. It is no surprise to see many big developers to come in and build higher end properties here. OLD is “Gold”? Sure, ticked here! Missing piece of puzzle in Kota Kemuning? 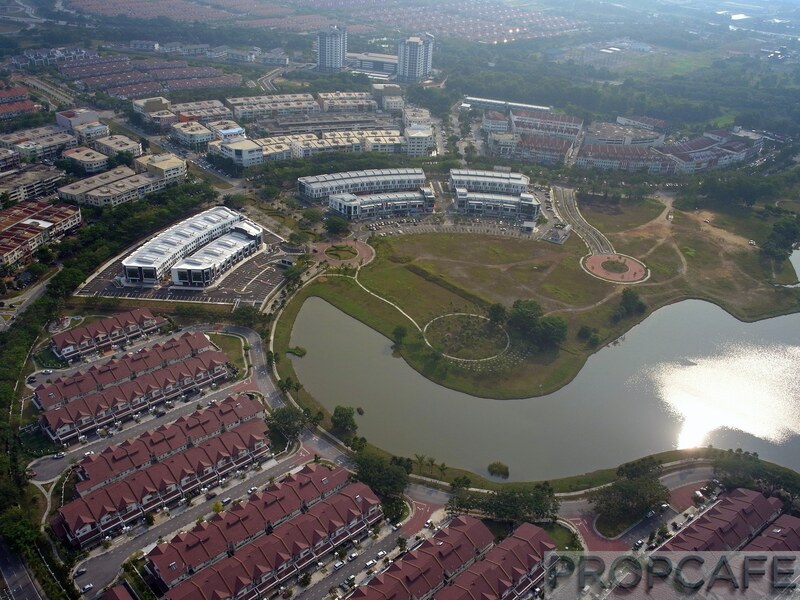 Kota Kemuning is always seen as a quiet neighbourhood that come with good amenities. From medical centre, hypermarkets, commercial and shops, eateries and street foods, schools, tuition centers, kindergartens, to even a large confinement center, Kota Kemuning is now a self-sustainable township! The only part that one may argue is the missing of integrated lifestyle hub, as the focal point and vibrant centric place, to serve the community. A quick survey here. Where do Kota Kemuning residents catch the movie? How about shopping experience? Any alfresco dinning place to hang out? Where is the place for the residents enjoy both outdoor leisure and indoor entertainment activities at the same? Surely, many answers are pointing to Sunway/Subang! Well, it is 15-18km away from Kota Kemuning via Kesas highway! What’s on the plate for twentyfive.7? 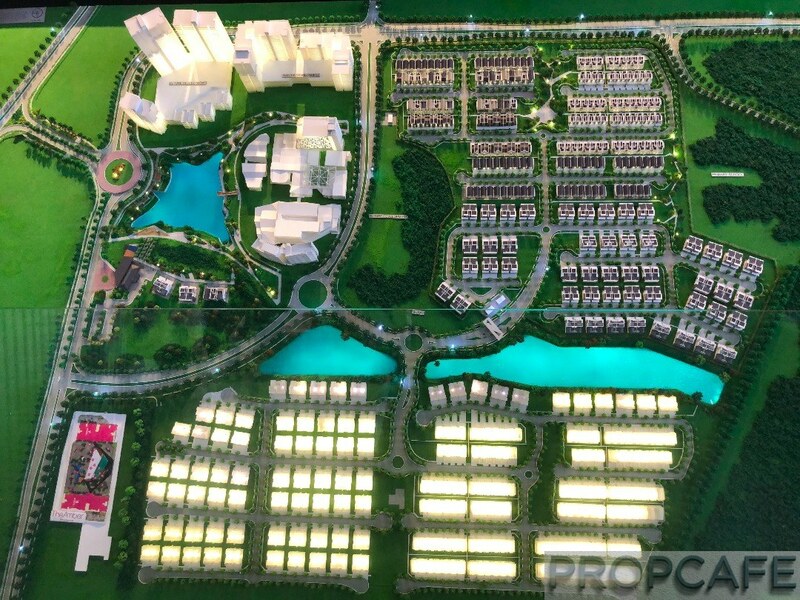 Gamuda Land sees the opportunities to close these gaps by designing an exciting masterplan for the future of new Kota Kemuning. One of the components is the unique Quayside waterfront commercial and entertainment hub which will become Kota Kemuning residents’ “Niche Lifestyle Destination”! Wait a minute, the illustration above could be hard to imagine and digest. Let’s PROPCAFE visualises each component for your easy “consumption”. The Award-Winning Waterfront – IDEA Award – Best Waterfront Development 2017 and Star Property Award 2018 – Poseidon Award (Best Waterfront Category – Honour). What else can you expect from the Central Lake Masterplan? The Central Lake masterplan also includes the Feature Gateway, Leisure Lawn Terrace, Pedestrian Bridge, Grand Green Terrace, Linear Park, Water Fountain and designed landscape surrounding the 8-acre Central Lake and two other lakes (combined 15-acres) in twentyfive.7. Sitting in the heart of twentyfive.7, the Quayside mall with a size of 6.36-acre comes with 92 retail lots, net lettable area (NLA) of 300,000 sf and 1200 carpark lots. It sets to provide all your daily needs and leisure which all within walking distance from homes. The balanced mix of retail that offering more than 50% NLA in F&B, Leisure and Entertainment are aimed to serve the residents in Kota Kemuning and visitors from an estimated population of 800,000 within 10km radius. 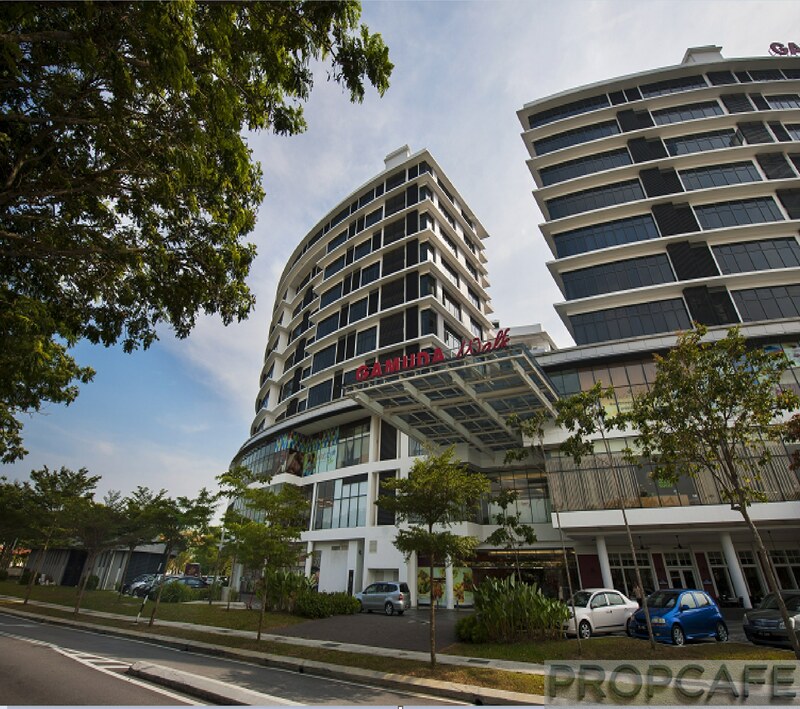 The key anchor tenants will be (a) MBO Cinema – 8 halls with 1500 seats and (b) Jaya Grocer. What’s more? According to the confirmed tenant list, a 24 hour Gym & fitness center will be there to satisfy the fitness enthusiasts. This waterfront mall will also host halal and non-halal F&B which includes dining and drinking alfresco to fulfil this long waited experience in Kota Kemuning. The developer is targeting to allocate the retail mix as F&B – 34%; Leisure & Entertainment – 27%; General Retail – 21%; Fashion – 8%; Supermarket – 7%; and Fitness – 3%. We have vet the confirmed tenant list and so far the coverage is very comprehensive. If you are interested to know more, head to the sales gallery! Without a doubt, the distinguish tranquility of Quayside conceptual lifestyle experience is going to be THE PLACE for Kota Kemuning folks! Lifestyle Component in a new township, Big tick! Gamuda Land is one of the largest listed construction and property giants in Malaysia. Its proven construction intelligence and execution has made the company a reputable township developer in Malaysia. To state a few, the list includes Kota Kemuning (jointly developed), Horizon Hills, Jadehills, Bandar Botanic, and Valencia, Gamuda Land has built all ranges of properties to enhance the living lifestyle for Malaysian over decades. It does not stop here, a good town maker will continue to improve each of their offering. 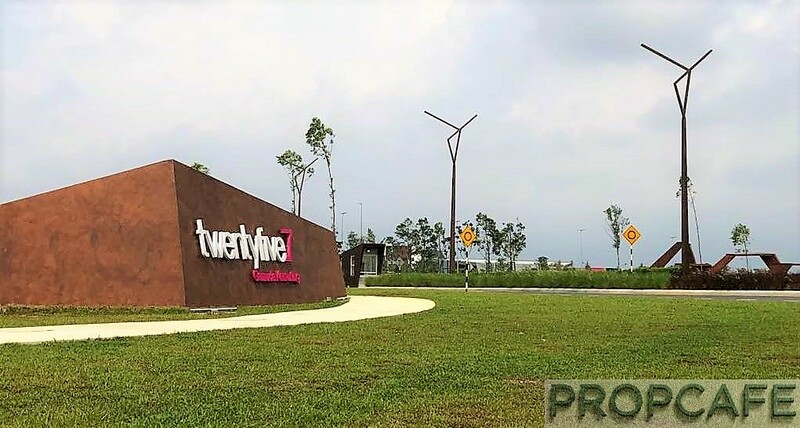 You can see Gamuda Land’s efforts in twentyfive.7, they crafted out an unique & refreshing product to satisfy market demand for an energetic and dynamic future township. Unlike those run of a mill township, twentyfive.7 shows its unique character in finest detail. The architectural concept of origami-like topographical fold is systematically spreading through the whole township to derive a fascinating visualization for the whole development. From the origami folding ribbon sculpture at entrance statement, angular and sleek mall design, modish and edgy viewing deck & playground to an avant-garde home façade. Even origami-like bench and bike stands can be seen and feel in twentyfive.7. These distinct features will set as the landmarks that you will not miss and forget once you stepped into twentyfive.7. Good job, Gamuda Land! Track record and unique Offering, checked! One can easily terms it as a big “Alliance” development in this southern part of Kota Kemuning, previously known as Canal City. 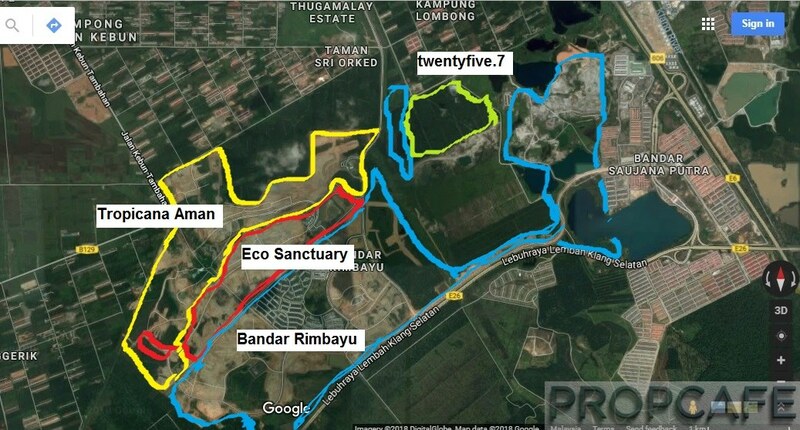 Four big developers are now rooting here to develop a total of 3306-acre lands which consists of 257-acre in twentyfive.7, 306-acre in Eco Sanctuary, 863-acre in Tropicana Aman, and 1879-acre Bandar Rimbayu. It is almost double the size of current Kota Kemuning. 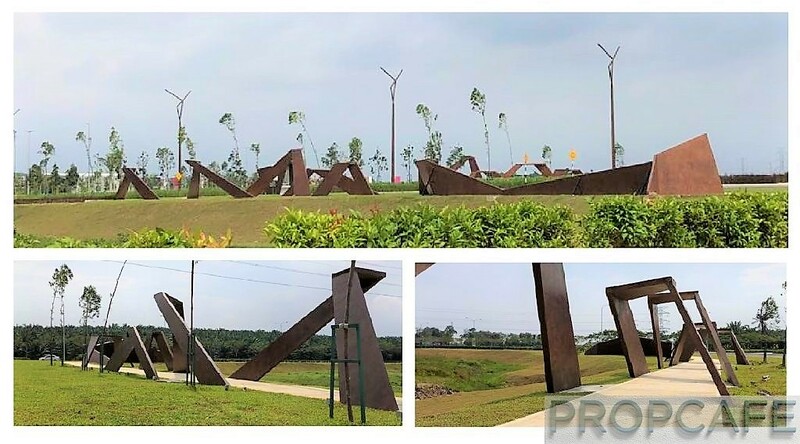 6km away from the center of Kota Kemuning, this tract of lands will equip with two community malls, ample of new amenities, and all types of new generation and thematic property offerings. 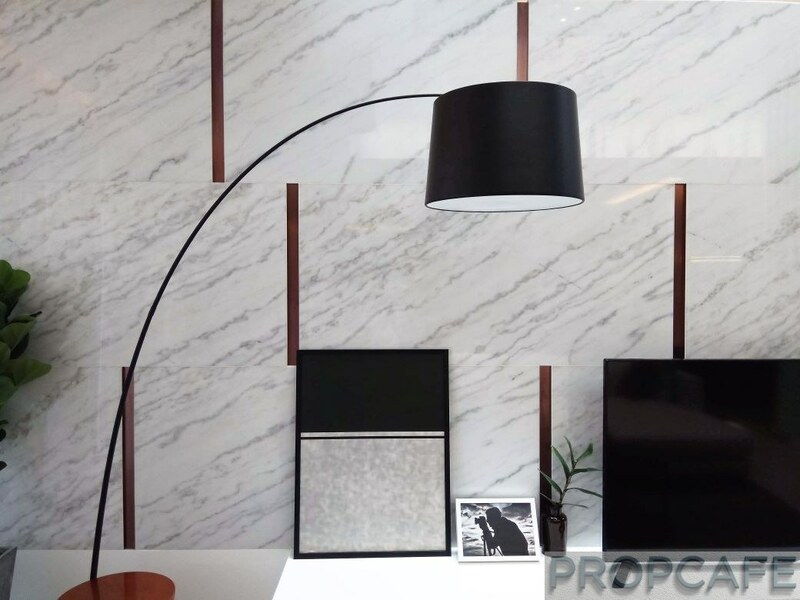 After one passes the third roundabout from the old Kota Kemuning and Kesas Highway, you can sense the ideal living space with different ambience and status here. This distinguished environment comes with a nice streetscape, road condition, signature roundabout and all grand entrance statements from each of the developments. Not being exaggerate here, once the commercial elements completed, this new Kota Kemuning will be a totally different world from the “old version” of Kota Kemuning and becomes the leisure and entertainment hub in this part of Shah Alam. “Alliance” Development, Big Tick again! twentyfive.7 moves away from the usual barrack-styled residential home and introduced the Avant-Garde multi-facades and artistic pitch roof homes to instill the dynamic origami-motif living environment. 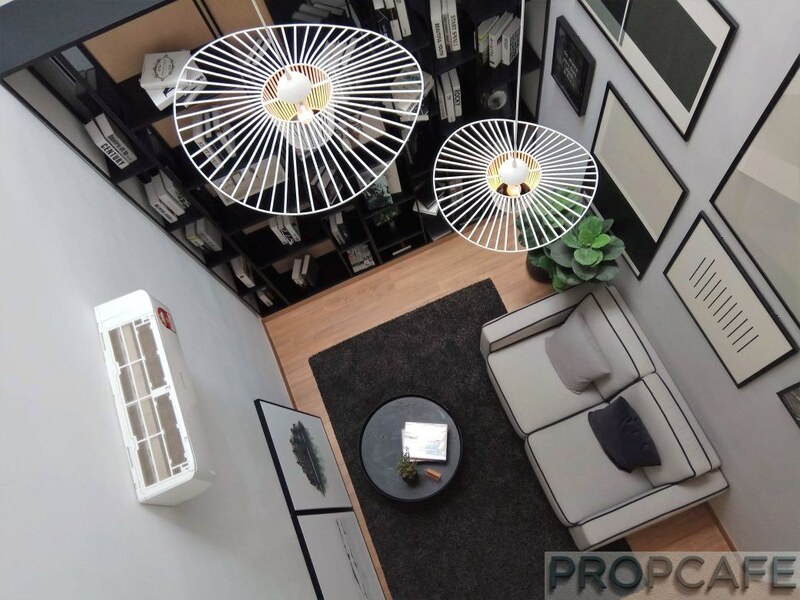 The innovative dual key landed terrace homes in Flexi House and triple volume ceiling height in Light House are rather refreshing which pushing the terrace house architectural design into a new standard and benchmark for multi-generation living. My personal favorite would be the limited 3-storey lake front semi-detached home which offers excellent contemporary living at the waters’ edge. The first launching of 181 terrace homes and 98 semi-detached homes received overwhelmed response as a check on the sales chart showed almost all non-bumi units are sold off. twentyfive.7 Show Village – Comprehensive Photos for you to refer. The next official launch will be The Amber Residence which sitting at a 4.28-acre land. The two blocks of 30-storey service apartments will house 596 residence units and 34 units of 2-storey retail offices. It offers various sizes from 657sf to 1000sf with extensive facilities. The best part is, this service apartment is only 250m away from Quayside Mall and Central Lake. It will likely be the cheapest entry property in twentyfive.7 which would be the choice for the first home starters who love the living concept and offerings in twentyfive.7. PROPCAFE™ may cover this apartment in detail in next write-up, stayed tune. What else in the Masterplan? Other than the future highrises, there are other land parcels in the Masterplan currently cited for school, Rumah Selangorku residential properties, and commercials. Well, knowing the developer, PROPCAFE will not be surprised to see Gamuda Land develops the mixed commercial projects with various type of shops or light industry detached factors (4S service centers and etc) to spur the economy activities in twentyfive.7. The whole masterplan is expected to complete in 10-15 years. In short, the masterplan of twentyfive.7 together with other big developments nearby will complete the whole eco-system in this part of Kota Kemuning and make it a sustainable vibrant new township in years to come. Together with the expected quality in demographic and unique offerings, this place will be one of the star candidates for best entertainment and residential developments in Klang Valley in very near future. Ticked! Nothing comes short when we talk about the amenities in existing Kota Kemuning. The commercial shops in town center and Gamuda Walk would have satisfied most of your daily needs. On top of the different type of government school including SRJK(c)-Keh Beng/Chung Wah and Chinese Taipei School, there are three private & international schools (two in progress – Tenby to be ready in Q3/Q4 2018 and Oasis in Q2/Q3 2019) available in Kota Kemuning which already said a lot of the demand and profile of this township. Six different banks are already offering its service in Kota Kemuning and Columbia Asia hospital is within 5-7km radius from twentyfive.7. Just imagine, it has not including the incoming new development and amenities from the four giant developers here. PROPCAFE expects significant improvement on amenities surrounding twentyfive.7 in next 5 years and this Kota Kemuning South will be the key engine to make a total facelift to Kota Kemuning. For now, while waiting for the best to come, the new township residents still can continue to enjoy the existing Kota Kemuning amenities. Amenities, Ticked. Kota Kemuning is strategically located with a good accessibility of major highways. Currently, the key connectivity would be the Kesas Highway which could get you to USJ (14km), Puchong (16km) and Sri Petaling (21km). The alternative direction of Kesas Highway will bring you to Klang. There is also a connection from Kesas Highway to Federal Highway which leads you to Kuala Lumpur (35km). Kota Kemuning is surrounded by Elite Highway (to Cyberjaya/KLIA & link up with USJ/Puchong), SKVE Highway (link up to Lekas, Elite and WCE) and up-coming West Cost Expressway (to be completed in 2019). 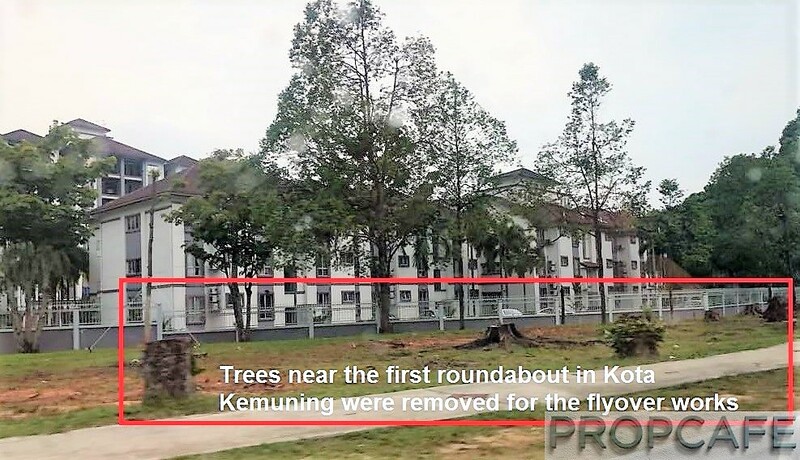 Of course, the accessibility of Kota Kemuning is no way near perfect, there are daily traffic jam that bottle neck at the first roundabout near the Kota Kemuning commercial area. The good news is the flyover near this roundabout is now work in progress (see photo below). 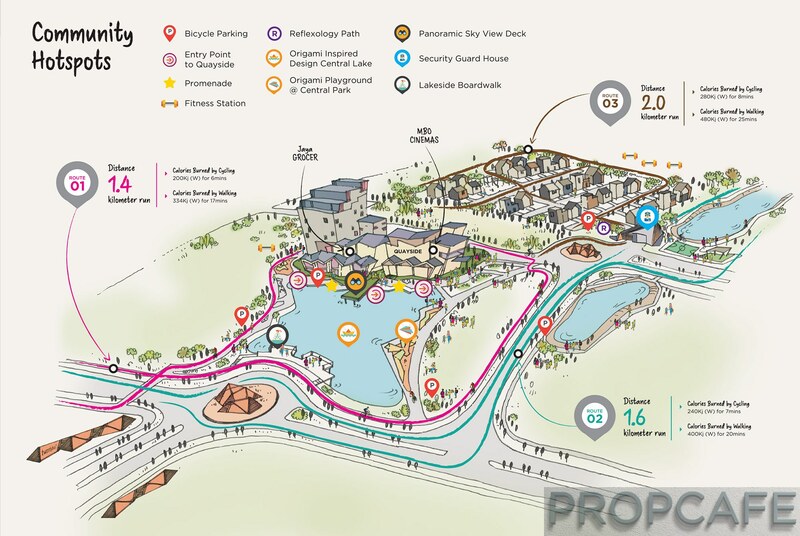 Gamuda Land, being a season developer, also realized the distance (6km) from twentyfive.7 to exit Kesas Highway. 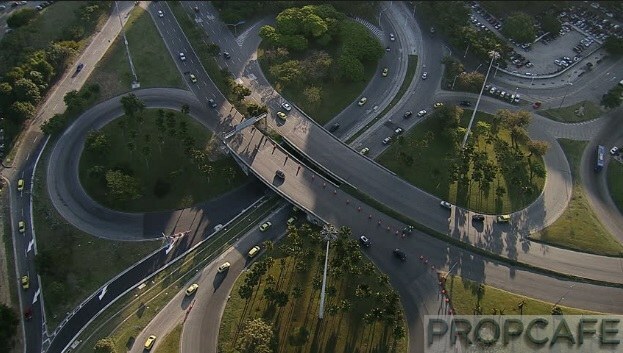 With this in mind, the developer has put in the proposal to upgrade Jalan Lombong and Jalan Masjid to directly link to the Elite Highway/Puchong and WCE respectively. The good news is, the road toward Bandar Saujana Putra to connect Elite is now open. This will significantly reduce the dependency of Kesas Highway in future. To see whether it will be the game changer to this part of Kota Kemuning, we shall revisit in few years’ time. Unfortunately, no nearby LRT station for time being until the open up of Jalan Lombong to have the link road toward Putra Height LRT station. Connectivity, half ticked at this moment. The downside of Kota Kemuning is the lacking of government initiated projects to boost the visibility and economy activities here. It is unlucky to not have any MRT/LRT station within the township. The leasehold in this Kota Kemuning South also does not help. However, the positive factors injected by the FOUR KINGDOMS in the south should outweigh the negative in long term which proven from the sales of the landed property launches in all four developments here. The major catalyst to Kota Kemuning will be the creation of lifetstyle and entertainment elements in near future via the Quayside Mall in twentyfive.7! Many neighbourhood malls failed or failing because of the supply of malls in the same area but clearly it does not apply to Kota Kemuning (well, another incoming mall here is only half the size of Quayside Mall)! This game changer will boost the economy activities and in turns add value to the property in this vicinity. Would you choose to hang out at a neighbourhood mall or drive all the way to regional big mall to spend a lot of time on the road, struggle on carpark space, shop whole day, and come home with an exhausted mind and body? What is the trend and lifestyle needs for young generation? It worth to spend your time to visit this part of Kota Kemuning and study thoroughly all their masterplans to fully appreciate what are on the table. It will be “huge” in years to come! The key word here is the Timing. For own-stayers, the decision is much easier since you aready know what you need in term of family requirements, lifestyle, convenience, and daily routine. 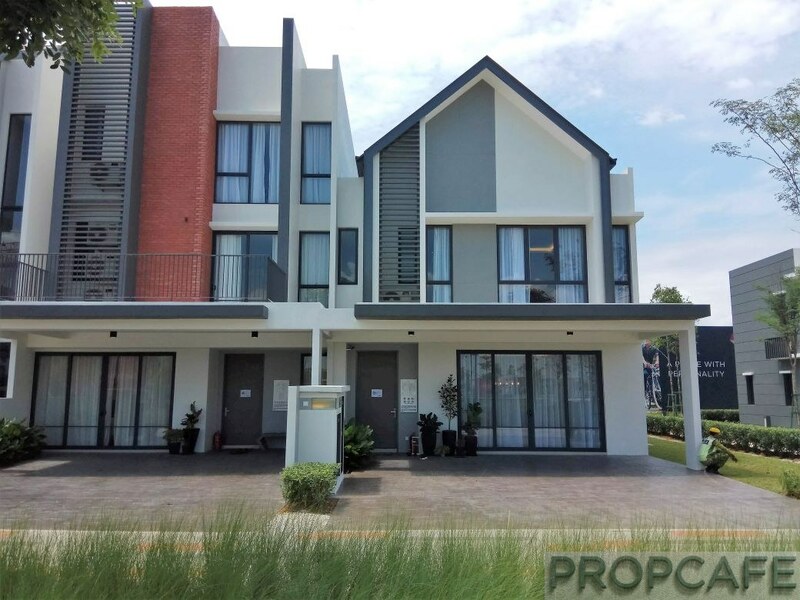 If you are familiar with Kota Kemuning and comfortable with the amenities, then to upgrade your home to twentyfive.7 is an easy decision as it brings more than you already enjoy now in Kota Kemuning, as long as you can afford it. 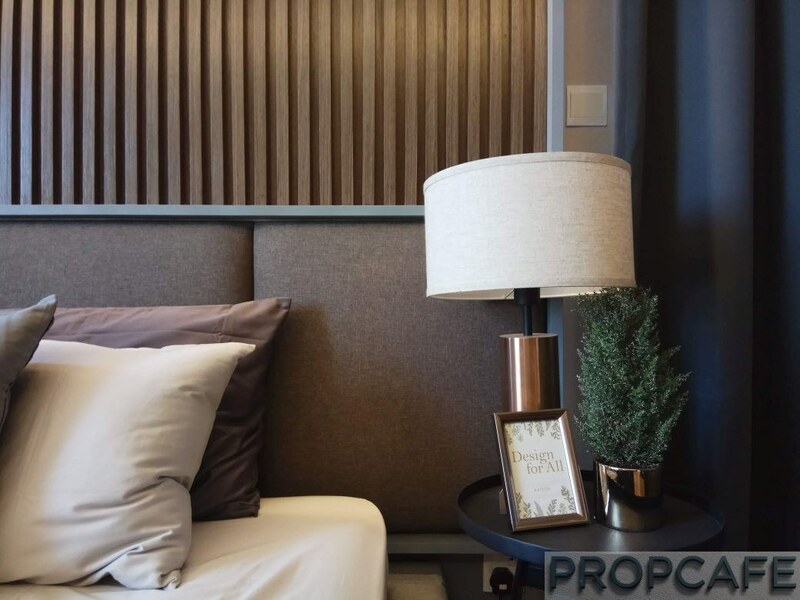 PROPCAFE™ hopes the new township criteria and consideration discussed above will help you to evaluate the premium and justify the worthiness of lifestyle elements and potential of twentyfive.7. However, it is not as straight forward for investment purpose. Investors do not like to pay premium especially there is nothing being built as of now. Therefore, if to invest now, would the property price goes higher in near future? The conservative devil will prompt you to pay higher price only when everything turn out well! However, most of the time when everything are there for everyone to envy, the price already shoots over the roof. For those who are neither risk averse or risk takers may willing to pay a slight premium in future and only enter in the second or third phase of new township. There is nothing wrong to buy time and observe, however one needs tremendous effort to continually monitor the progress & pricing to enable someone to catch the right time and premium. 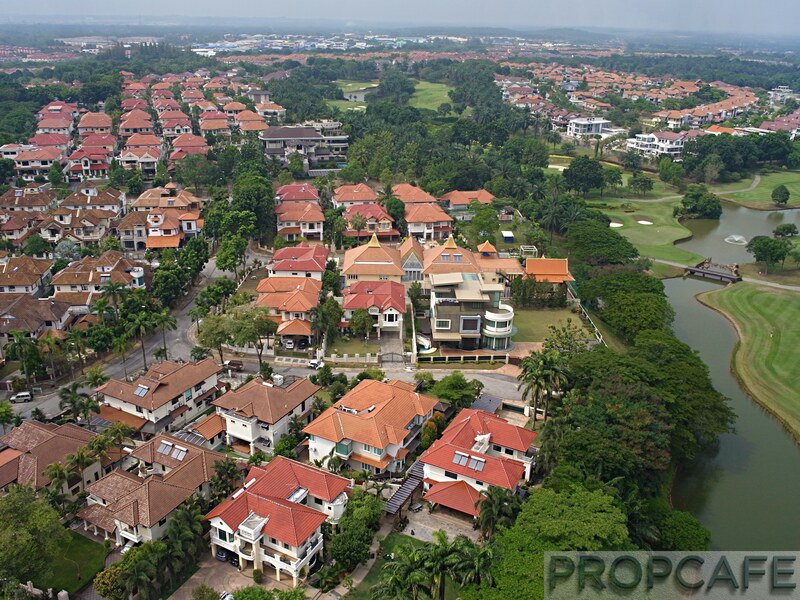 To be honest, how many of you able to catch the value buy in the new successful township like Setia Alam, Glenmarie or Desa Parkcity during the booming of the township when all “positive elements” were delivered there? Tough call! In the end, it is all down to risk appetite of individual. Well, before you make decision, at least you can surely reduce the investment risk by assessing the traits of a successful new township shared by PROPCAFE™ here. All the best! What is the upgrading plan for Jalan Kampung Lombong? Do they intend to link the connectivity until Koi Prima Puchong area? They want to link to puchong koi prima and also elite and skve highway.. please speed up the project because people at kampung lombong suffer about broken road..